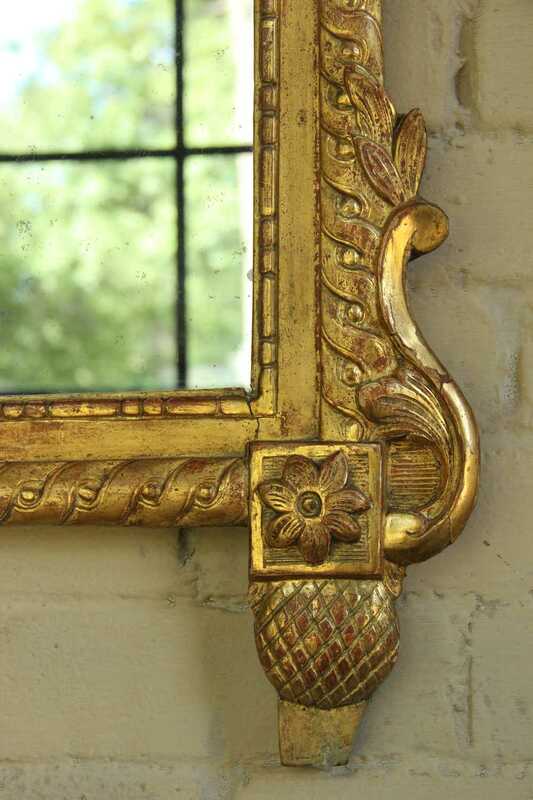 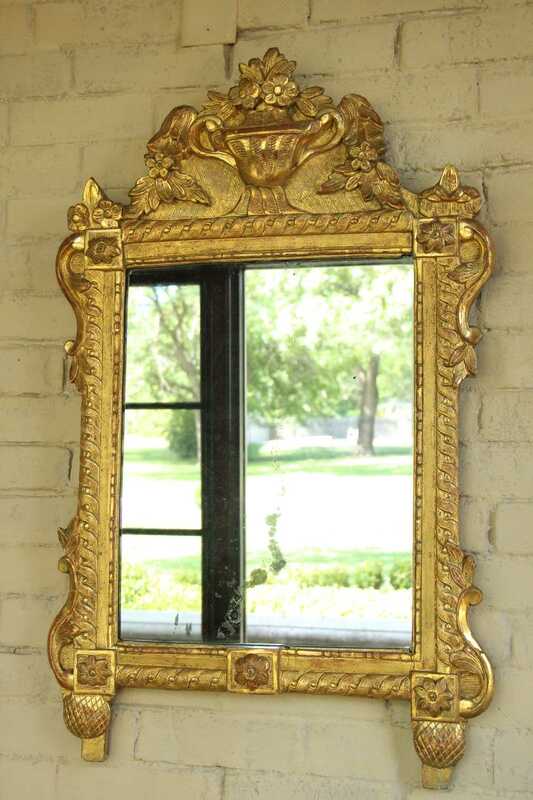 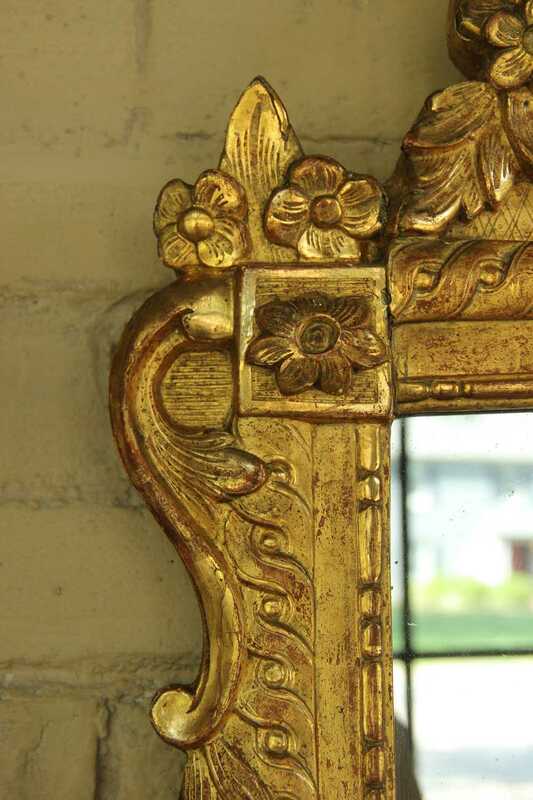 French Louis XVI Period Giltwood Mirror with Floral and Urn Motif, 18th Century | Maison & Co.
A richly carved 18th century French Louis Seize period giltwood mirror with mercury plate. 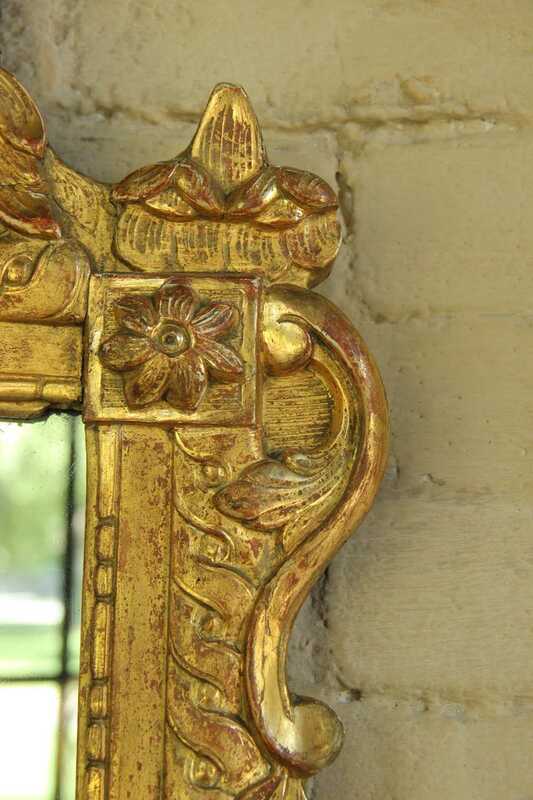 The carved crest features an urn filled with a bouquet of trailing flowers. 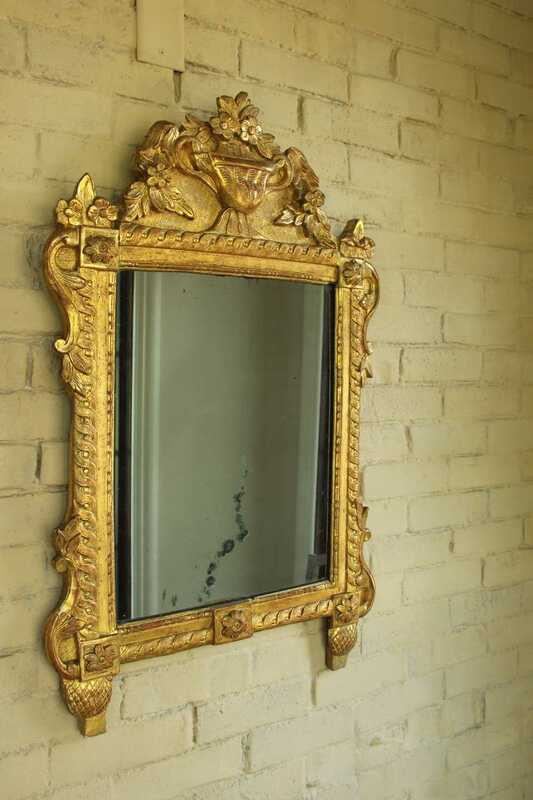 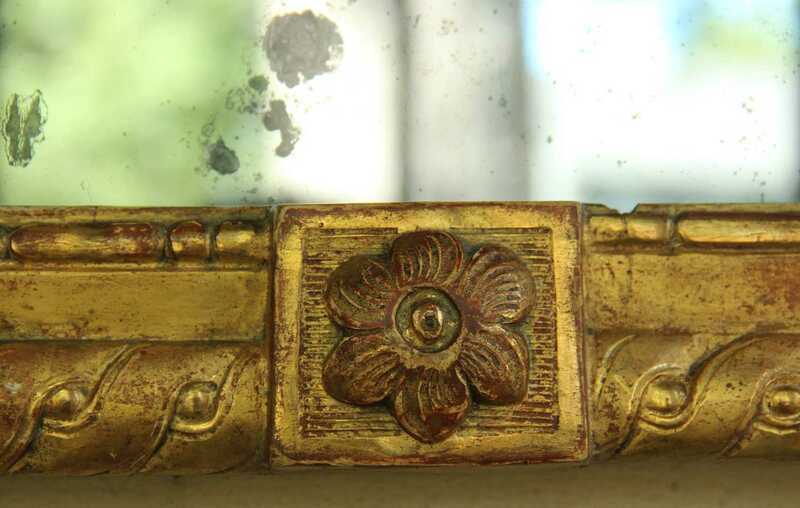 The floral and leaf motif continues along the sides of the mirror. 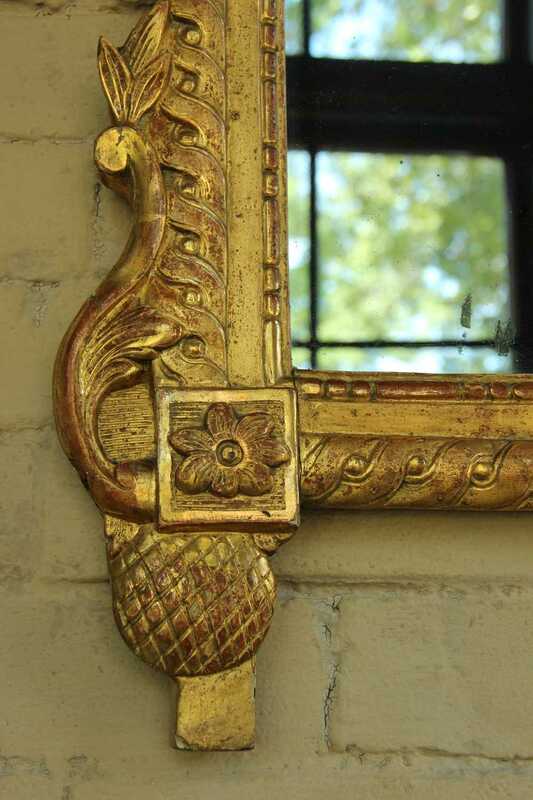 There are rosettes in the corners and pine cone feet at the bottom. 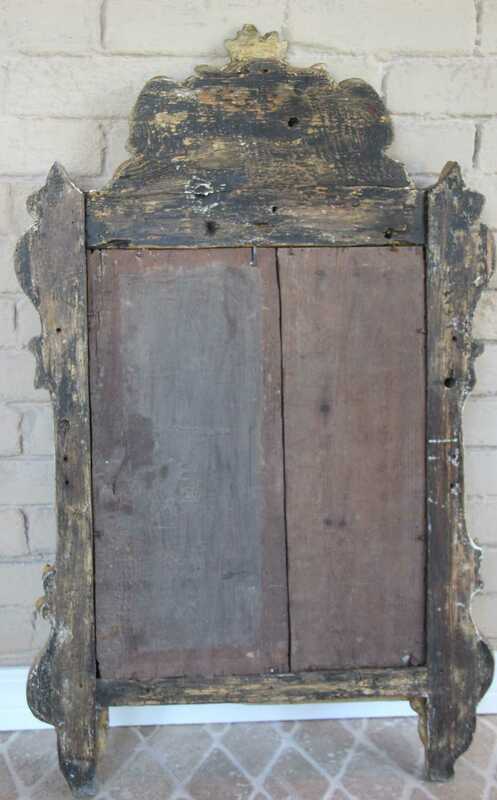 Circa 1780. 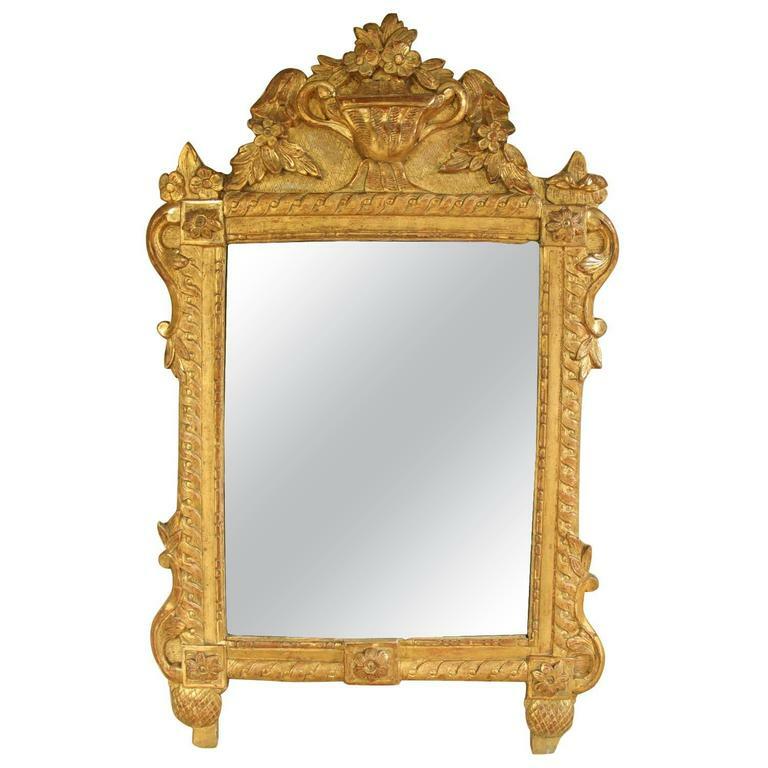 The mirror dimensions are 18.63" H x 14.5" W.